A Gloster Grebe two-seater aircraft that crashed just behind Eastchurch Primary School on the 10th April 1930. 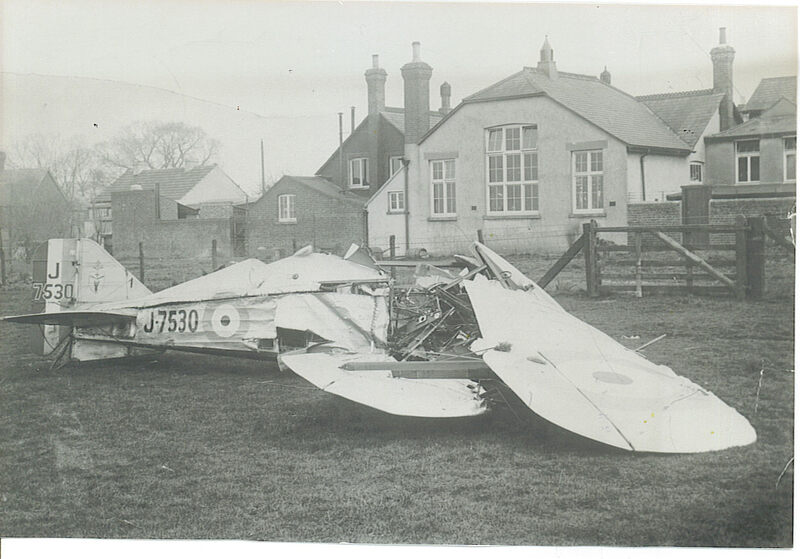 It had taken off from RAF Eastchurch (now the Prison) on a training flight. The RAF instructor was giving a Naval Telegraphist flying training in aerial gunnery as part of a five-week course. Whilst carrying out a series of spins as they descended from 2,500ft the engine began to cough on and off and the plane was seen to dive down behind Eastchurch village. Several villagers rushed to the scene and managed to pull the two occupants from the plane but they died from their injuries soon after. 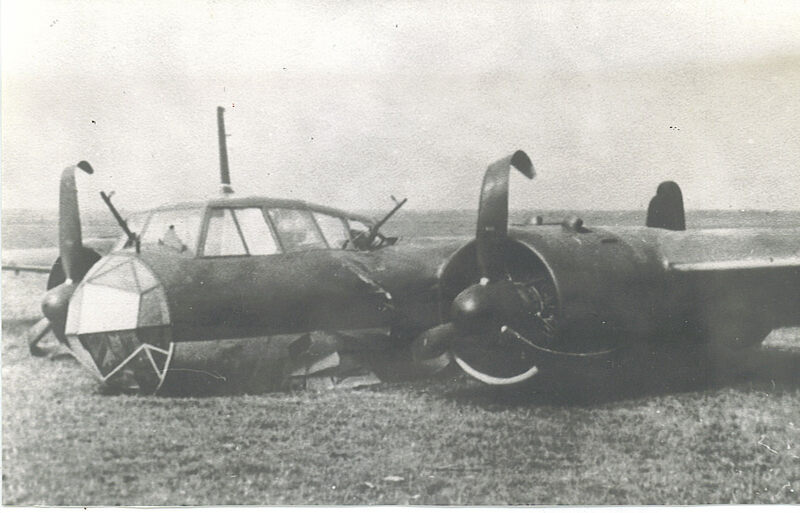 This Dornier 17Z-3 from 2/KG2 Squadron was shot down by two British fighters over Hornchurch on the 26th August 1940 and eventually crash-landed two miles south-west of Eastchurch at 3.40pm. 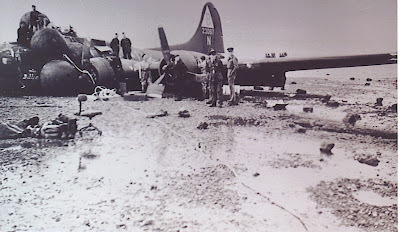 three of the crew were captured and one was killed. This American Flying Fortress crash landed into the sea off the old Coal Pier, Sheerness in May 1943. 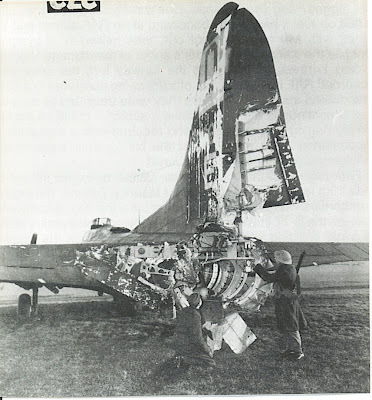 It had been badly shot up on a bombing raid and was trying to make it back to base. Floatation bags were put round it and it was towed ashore onto the beach. It was decided to scrap it and to do that it was decided to cut off the wings to make transportation away easier. Men from Sheerness Dockyard, experienced in burning metal, were brought in and during this operation one of the aircraft's fuel tanks, inspected and said to be empty, blew up, badly injuring two of the dockyard men. This American Flying Fortress, nicknamed "Hang the Expense", crash-landed at RAF Eastchurch in early 1944. Apparently returning to their base in East Anglia from the crew's 13th mission to bomb Frankfurt, they were hit by Ack-Ack as they came over Ostend. Substantial damage was sustained by the aircraft, including loss of the rear gunner's compartment and the rear gunner and the plane just about made it back to the first available airfield, Eastchurch, escorted by two P-47's. Here despite getting bogged down in the water-logged grass landing strip, all the remaining crew were OK. Amazingly, the rear gunner turned up at the end of the war in a German POW camp! That is an incredible picture of the Flying Fortress, minus it's rear turret. I don't think we can even imagine the courage of all those bomber crews flying out to Germany night after night. If you took those photos yourself, you're even older than you let on !! Interesting little bit of history Derek. I bet that 'tail end charlie' dined out on his story a few times !!! No I'm not quite that old, they're from my collection of Sheppey's aviation history. It's certainly difficult to imagine somebody surviving that incident though and like Warren said, it must of been worth a few pints. Very interesting post, Derek! Thanks for sharing the photos.